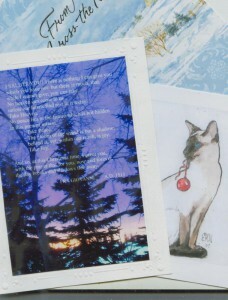 Am packing up the cards from this season, some of the favourites of course are the handmade ones. 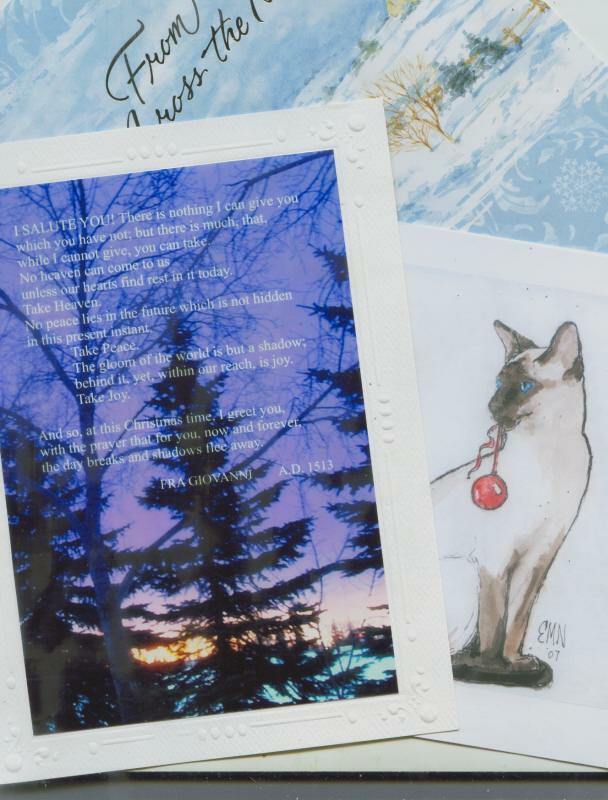 They don’t have to be fancy or over embellished because the simplest acts of a few words from special folks with a little of their art is enough to make them individualised messages from the heart. The photo card is from Wendy of Windy Angels who has a darling etsy shop thing happening. From Fra Giovanni Giocondo an Italian architect and Franciscan Monk in the late 1400s. Hi! Mandy, Love the quotes and your Winter Bella work!!!! I hope that you have a wonderful week! Lovely quote, so apt & true. <BR/><BR/>Looking forward to more Winter Bella art! Beautiful quotes Mandy . . . I do so love checking out the ones you manage to find. Love your Winter Bella work too . . . just lovely! Happy New Year Mandy … I lost your link for a while and I am glad I found it again. What great quotes!